The bond of a father and daughter is special. When Jules father asks her to come be stay with him because he’s terminally ill, she goes for the remarkable opportunity to really know her father. She never dreamed he had liberated a concentration camp, dealt cards to Bugsy Siegel or saved the life of a Black Panther. Wings of Hope takes you on a road trip through the memories of a man making peace with his life through his conversations with his daughter. Teaching her that death is sometimes the most heartbreakingly beautiful part of life. Hope is the last gift of a father to his daughter–the power to reach for her dreams. 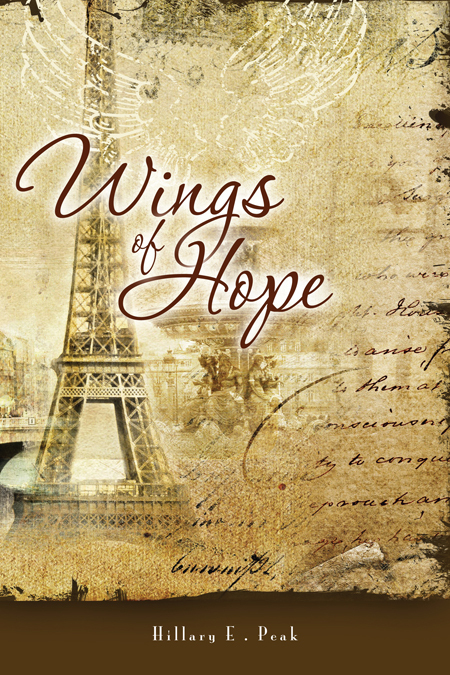 Wings of Hope focuses on the main character, Julia, and her growing relationship with her father as he finally reveals his life secrets to her. A very loving and endearing story, it reads like literary short fiction. If you are not looking for high, intense conflict, but something to touch your heart while keeping you entertained then this is the story for you. The story starts out strong. We learn Julia is a 27-year-old woman who’s managed to find a nice job even though it is not the one she wants, a good apartment, and even though she is in a relationship with a Mr. Right, he’s the wrong Mr. Right for her. Even though I do think Julia can be mean and snooty, I find her relatable. She could be your boss, your next door neighbor, the popular girl in high school. Julia keeps me reading long into the novel. Then I find myself 76 pages into the story. I start to hear less about Julia’s issues and more about her father’s experience with World War II. At first these anecdotes are quite amusing, but I want conflict. I want to know will Julia break up with Mr. Right Now? Will she pursue her real life career? How are these stories her father tells connected and furthering the story? Are they just stories? And will Coco the 3 year old English Toy Spaniel be swept back to the shelter because Julia and her father refused to follow policy when first adopting her? Thankfully these questions all get answered in the story, leaving me content and quite happy. A story that starts strong, becoming slow in the middle picks up enough momentum to keep me engaged till the very end. Good job Miss. Peak. You are on your way to defining a generation.